Jobs In The Hunter are offering our recruiter and employer subscribers a fantastic opportunity to save money on your job advertising for the coming year! Our EOFY promotion offers you 2 for the price of 1 on purchases of our Featured Ad and Ad Package options! 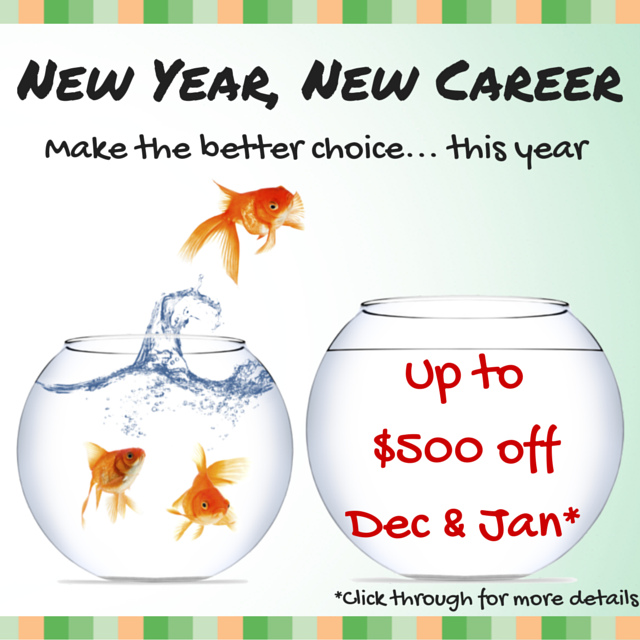 New Year, New Career – is it time for a change? Call1300 721 503 now to ENQUIRE and ENROL! *This cannot be used in conjunction with any other offer or discount. Face-to-Face courses comprise of pre-course work, 2 day (Blended) or 5 day (Intensive) face to face workshops, and post-course work. Completion time will vary upon each Learners prior experience, knowledge and understanding of the course materials as well as their level of LLN, computer skills, research skills, and access to workplace documents and environments. make the better choice this year. 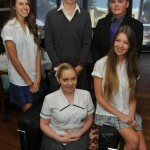 The region’s leading provider of vocational education and training has become a partner with JobsInTheHunter.com.au. Hunter TAFE more than 60,000 enrolments every year, delivering over 450 programs, across 15 campuses throughout the Hunter region, and has helped countless people begin or advance their careers over the past 120 years. JobsInTheHunter.com.au has about 300 or more job vacancies posted at any one time and in the past financial year has had more than 4300 listed. 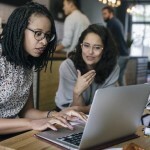 A presence on what is fast becoming the premier jobs website in the region, JobsInTheHunter.com.au and TAFE, was a natural affiliation, said the website’s Partnerships Director David Smeeth. Hunter TAFE CEO/Institute Director, Phil Cox said the partnership will ensure people looking for employment have access to vocational education and training support through Hunter TAFE. 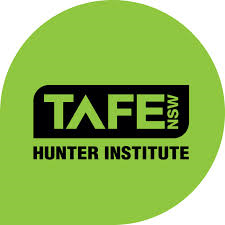 “Hunter TAFE provides the highest quality and broad choice of programs and courses to meet the best interests of students and their future employment prospects. Welcome to the February edition of our Jobs In The Hunter eNews. Our newly introduced “Jobs In The Hunter Extras” service is being well received. Offering expert support from our specialist HR and recruitment partners the service will ease you through the process of recruitment and hiring. The Extras service is fully flexible, meaning you can select one, or any number of services, ranging from the writing of position descriptions through to background and pre-employment checks. For more information follow this link. 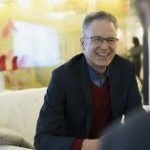 This has a consequence – the notion that the employees are contributing in a greater than nuts and bolts kind of way and, in the process, you might identify or unleash true leadership or other creative abilities that weren’t noticed before. Most people would rather have a day at the dentist than 60 minutes in an interview. That’s because no one likes to be judged, and essentially that’s what an interview is all about once you’ve shown in your CV that you have the knowledge or the knowledge base for the job at hand. Telling someone to not be nervous in an interview is as useful as asking a bee to not sting you. But a strategy will help overcome much of that nervousness and impress the interviewer or panel to boot. Start the night before. Coach yourself through it, in front of s mirror, if you can. Excruciating, certainly, but you’ll see your body language, which is a large part of the interview assessment. Even video yourself, if you have a camera, then review it for irritating gestures and phrases. Facial contortions, nose scratching, forehead rubbing, searching the ceiling for inspiration won’t work for you, so work to eliminate them. Do your homework. Know what you can about the company or employer and any individual on the interview panel. A little corporate history shows you care, so know some. There’s no excuse for not having at least an outline in the age of the internet. Ten deep breaths through the nose while in the waiting room will help to relax and get oxygen to the organ you are most going to need in the next few minutes – the brain. Your portfolio. Will it fall apart as you nervously reach for a handshake? Does it say what it needs to say in five pages or fewer, or is it the condensed version of the Encyclopedia Britannica? Does it have something extra above your application that you might leave with the interviewer? Your communications skills are on the line here, but not your publishing skills. Condense the document. Finally, when the time comes for “Any questions?”, have some – at least two. That might mean preparing about six because some topics will undoubtedly be covered in the interview. Now, you’re ready. Good luck. Few people buy a house so often that they know all consumer, legal and investment elements of the transaction. It’s also an emotional decision – a time when experience counts for a lot. Buyers and sellers rely on a real estate agent for expertise and guidance for the remainder. The same applies to property management, whether a single unit or a large investment portfolio. That’s why agents and agency managers have a constant need to consider their professional development and skills – and those entering the business need to be up to speed as soon as possible. Real Estate Academy, based at East Gosford on the Central Coast, was established to ensure the highest level of professionalism for those entering a real estate career through to the experienced agent in need of a technique refresher and knowledge update. Operating for almost17 years and serving franchise networks as well as independent agencies across Australia and New Zealand, the Academy conducts about 10 two-day sales courses a year attended by up to 150 agents and managers, as well as leadership conferences, and numerous workshops on particular aspects of the industry. “Our courses give a real estate agent or salesperson the structure and system to follow, one that has a record of success and can be implemented immediately,” said Robyn McCaughan, Education Manager at the Academy. With the real estate sector expected to boom in 2014, many agencies will look to recruit extra sales staff and, to meet this demand, the Academy has launched www.getajobinrealestate.com.au to help plot a path into a real estate career. 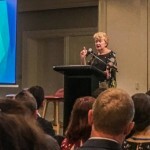 “There are thousands of real estate jobs across the country at any one time and this site is designed to help anyone who would like to work in real estate and, if the answer is ‘yes’, how to make a connection in the local area,” Ms McCaughan said. 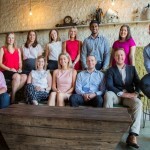 Expected recruitment in the industry has prompted a business partnership with the website JobsInTheHunter.com.au, where hundreds of jobs in the Hunter Region are advertised each week. 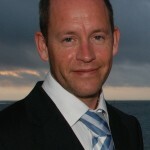 The Chairman of JobsInTheHunter.com.au, Tim O’Brien, said the relationship with the Academy’s new website was a natural fit. “Our website is about local jobs and people want to work where they have chosen to live for all of its lifestyle benefits,” he said. JobsInTheHunter has up to 450 jobs a week on its website, all located within the region. Ms McCaughan said JobsInTheHunter was a site where many agents from Newcastle, Lake Macquarie and surrounding cities and districts recruited new and replacement staff and she believed the two sites would complement to each other. Zoe Friedman from Terrigal High School for ‘Divine Domestics’, a business concept that combines home ware product sales with professional interior designer service and expertise. Shay Goddard from Gorokan High School for ‘Smashing’, a unique and quirky concept that encourages an over 18’s clientele to legally vent their frustration by smashing crockery and other breakable objects in a safe, fun environment. Paige Wilson-Turner from St. Philips Christian College (Gosford Campus) for ‘Aqua Laser Tag’, an eco friendly hybrid laser tag/aquatic centre that combines land and water components. Walter Ellem is a web designer who came across JobsInTheHunter.com.au when he was thinking of hiring. His Beresfield-based Web Tech Plus business was looking to expand because of new contracts from as far afield as Papua-New Guinea, so he gave the website a try. He used JobsInTheHunter and a university noticeboard for his recruitment drive and was delighted with the number and quality of the applicants. “I culled about 50 per cent, and 50 per cent were suitably qualified (which was) better than the usual ratio of 75 per cent unsuitable and 25 per cent qualified,” he said. Mr Ellem liked the ease of the site to use and, because it is free to advertise, he rated it highly “budget-friendly”. “Job advertising can be so expensive,” he said. He plans to recommend the site to business colleagues. There is a lot of news at the moment about how housing has become less affordable for first home buyers. Many young couples and families have been priced out the market as talk increases of a new housing price bubble. But matters are seldom as grim as the headlines suggest, says Phil Riches, a finance broker from Finance On The Coast at Avoca. “The value of property is going up and that does make it harder for first home buyers to get into the market,” Mr Riches said. It starts with getting the right advice. “It’s a common misconception that parents who opt to help as a guarantor do so for the entire debt that their child is taking on. For example, a parent could go guarantor for a child’s first house to the value of 20 per cent, plus transaction and set-up costs. This provides the deposit but limits the exposure for the parent, while it enables the couple to borrow up to the full purchase price of the home. The arrangement can be structured so that the guarantee can be dissolved when there is sufficient equity in the purchase, Mr Riches said. “The key with any arrangement is to get clear legal advice, and we insist on that every time,” he said. There are benefits and pitfalls with every arrangement, but there are many that can bring a couple or family to the point of being able to buy a home. “It’s important to get advice on all of the options so the best choice can be made.” Mr Riches said. A report on the Australian mining industry predicts production will lift by 40 per cent in the next five years. But the outlook for jobs is not so rosy, especially in mine construction. Reports on the BIS Shrapnel predictions say the mining sector will grow from 18.7 per cent of gross domestic product (GDP) in five years production continues to gear up. Mining investment over that time, however, will fall by as much as 40 per cent as companies switch from the construction of new mines to an emphasis on production. BIS Shrapnel’s head of infrastructure and mining, Adrian Hart, is reported saying there will be tough times ahead for those working in the mine construction sector. 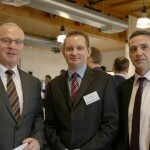 “We’re forecasting a 40 per cent fall in buildings and structures activity over the next five years in mining. Mr Hart said overall employment in the sector would suffer as mining production became more reliant on mining machinery. This is a trend that has already become apparent in the Upper Hunter Valley mines. Mines have been under cost and price pressures and have sought to counter this through volume production. Newcastle is only days away from hosting the Special Olympics 2013 Asia Pacific Games. More than 2,500 athletes from 32 countries will compete at the Games from Monday, December 2, until the following Saturday, December 7. They will compete in nine sports; athletics, cricket, football, badminton, table tennis, aquatics, basketball, bocce and ten pin bowling. They will be supported by about 6000 relatives, careers and supporters and most will begin arriving before or on November 30. Spectacular opening and closing ceremonies are planned for the Games’ principal venue, the Hunter Stadium at New Lambton. Included on the program for the opening performance on Sunday, December 1, are internationally renowned quartet Human Nature, ARIA Award winning singer Anthony Callea, Icehouse front man Iva Davies, Queen of Pop Marcia Hines, country music award winners The McClymonts, rock legend Doug Parkinson, belle of musical theatre Marina Prior, and many more. Organisers say it will be the biggest line-up of talent in the city since the Earthquake Relief concert in 1990. Ensuring the smooth operations of the ceremonies and the games will be a troupe of some 4000 volunteers – some of whom were recruited through JobsInTheHunter.com.au – and there is an extensive calendar of social events to be rolled out over the week of the games. If the answer is YES, save money today with a substantial discount of 50% off pre-booked advertising for your business brand, products and services on JobsInTheHunter.com.au or JobsOnTheCoast.com.au. There is a limited number of business advertising space available so please hurry and don’t hesitate to take advantage of this offer. If you want to target a local audience of individuals or businesses across the Hunter and Central Coast, we have some fantastic prices given the size and relevance of our reach. Business advertising rates on this deal start at only $73.50 + GST per month. Pages viewed on the Jobs In The Hunter and Jobs On The Coast websites have exceeded 85,000 in the last month and our audience is highly engaged, spending an average of 4 minutes and 32 seconds on the site (source: Google analytics). This means your ad is very likely to be seen and noticed. We always welcome any feedback or suggestions you may have so feel free to email enquiries@jobinthehunter.com.au or call our office in Newcastle on (02) 4910 4024. Please note that advertisers are approved at the absolute discretion of JobsInTheHunter.com.au. Some advertisements will not be possible due to exclusivity arrangements with current advertisers. Booking is not confirmed until payment has been processed. Payment can be made via direct deposit, Visa, MasterCard or PayPal. Port Stephens Council has won the prestigious title of Australian Employer of Choice in the Public Sector and NFP category at the Australian HR Awards. Beating competitors such as Australia Post, the Council was announced the winner at The Westin Hotel in Sydney on September 9 after a rigorous nomination process. The Council’s General Manager, Peter Gesling, accepted the award and said winning the category was extremely rewarding, given the calibre of finalists. “Just to be recognised as a finalist among national public sector and NFP organisations was rewarding in itself, but to be named the overall winner is incredible. “Our organisation works really hard to focus on providing the best possible work environment for our people and we place priority on continually improving employee engagement,” he said. “This, coupled with our strong Enterprise Agreement, our learning and development programs plus the cohesive culture driven by our leaders and our dedicated HR team are what has led us here tonight. “I am very proud to be accepting this award,” Mr Gesling said. The Australian HR Awards celebrate excellence by leaders in the HR profession, recognising individuals, teams and companies for their outstanding achievements in people management. To stand on the threshold of a working life calls for some important and delicate choices. There are jobs available today that did not exist 10 years ago, and there are jobs we haven’t begun to imagine that will exist a decade from now. It is possible, however, to take an educated guess at some of the work categories that hold solid promise of a career, even if it’s not for a working lifetime. Aged care services – an ageing population means there are numbers and demands for services and care well beyond what was required in the past. There are the obvious jobs, such as healthcare, but older folk are more active than they were in past generations, so travel and selected sport and exercise coaching are now among services to the elderly. Social media – Love it or hate it, it isn’t going away. In fact it has an increasing role in commerce as well as its “traditional” one for social communication. Skills in demand for a career in this field would include marketing, written communication skills and as boundless an imagination as you can develop because, no matter how imaginative you are now, social media will inevitably stretch the boundaries. Environmental sustainability – Corporations are edging, either by will or legislation, towards better management of their resources and of the impact the business or productivity has on the environment. It’s a career that will require a lifetime of skills development, but it’s hard to imagine one with a better future. Health care, including medical documentation and records – As the population increases and medical treatment becomes more frequent and complex, there will be the need to manage a mountain of information. Documentation and scheduling will grow exponentially. In direct health care, increasing specialisations will become available as treatments become more niche. Human Resources ­– As corporations grow larger and the process or recruitment is handled by specialists instead of shop-floor supervisors and managers, and as employee management legislation becomes more complex, human resources departments have a strong and assured future. Advertising – Commerce is the cog of business and advertising is its lubricant. There are diverse and challenging new ways to deliver advertising to the market a business seeks these days, so the creative mind and the technical ability have a future in advertising.